Problem 1. When going live shift down to the lowest position size available so that's £0.50 and look to a market that has low volatility. Position size start low and build up as success and confidence grows, most people do the opposite, start big and down size as their losses mount and confidence collapses at the same rate as their account. With the small bet sizes a loss won't worry you so much and you wont be putting yourself under ever increasing pressure. Problem 2. Good chart reading and good trade execution is everything. 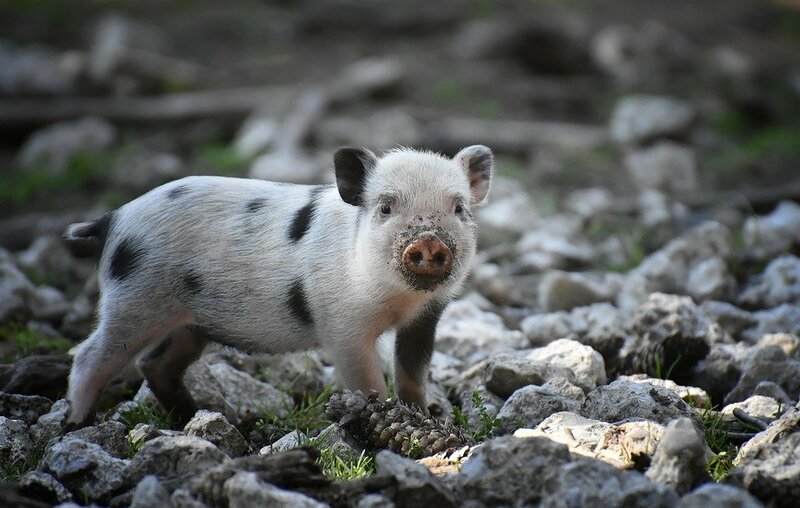 They are far more important than technical analysis or identifying patterns or flipping a coin. I'll think of some good educational material to study but first some simple examples. You mentioned gold so lets look at that first (bottom chart). Simple, the bears had taken control of the market yesterday, look at the size of those red candles and the speed of the move down, if you were looking for anything it would be shorts but the market consolidated anyway so stay out. 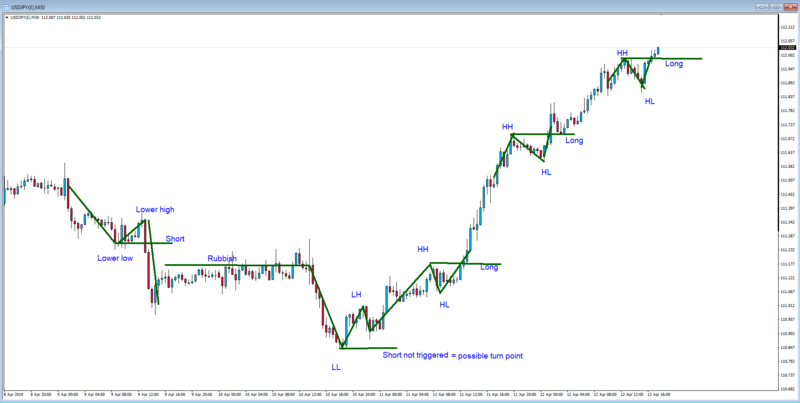 usdjpy 30min, good steady chart, can day trade on or swing trade on it and the stop loss is not too big (expensive). So practice simple chart reading with nothing cluttering up the chart. Learn to identify the different market formations early and when and where the big players have re-entered the market. @Caseynotes thank you so much for this info. Where were you 4 weeks ago? pahahah. Ironically, what you have suggested, is what i am now doing. I told myself if i got down to £1000, then it was time for a rethink. The rethink it to bet low and long after a decent chart study. I did actually make £80 yesterday going short on that Bear, but bet wrong on the pullback thinking it was a reversal, and lost half going down. I bought at the bottom for the smallest i could go and took an overnight position on it, hoping to see a gain in the morning. Alas, it was as is seen; a consolidation. The news suggested Low Dollar so i guessed it was going to go Up all day so put in for a long position. I bought in the the 3rd up right at the top thinking it was going to break out. It then took 6 hours to go down, up once to my Buy In then back down to support where it stopped me out with a £20 loss. It's still sitting around 1290. The only good thing i can take from it all is I know what I'm doing wrong. I've been playing with a small account and risking only 3 moves at a loss of £50!!! I've been a total fool. My plan was never to Spread Bet but to Scalp/Buy and Sell shares based upon News that are below £10. I only realised there is a Shares/DMA/L2 option yesterday, so I've got my next stage of learning to start asap with the £975 I have left. Thanks again. I need to make more use of the Forums. I agree with @Caseynotes in that start with the smallest bet size and if the trade moves in your favour and you are trading with a trend getting stronger then you can always add to your position on any dips. For now I would suggest stating at the lowest amount possible and building a position based on strength. In terms of picking an asset then it really depends on which market you have a better passion for, a better understanding in, a greater interest in, etc. There will be volatility in all different assets whether they are indices, FX, commodities, etc. I would avoid Cryptocurrencies unless you can stomach 'gut wrenching' volatility! Not all traders can. The 'elephant in the room' is stop losses and your risk tolerance and risk management strategy. If you are a day trader or short term trader then I can understand the need for tight stop losses to ensure you make lots of small profits. I get that. If you are a trend follower like me who holds positions for days, weeks and months to ride the longer term trend, a tight stop loss is no good. It needs to be more wider. Traders have to determine their time frame and set their stop losses accordingly. A lot of traders get into a pickle with this. They are trading the right asset at the right time but volatility is stopping them out. Having a wider stop loss is not all bad if you are trading on the right side of the trend and the trend is getting stronger in your favour. 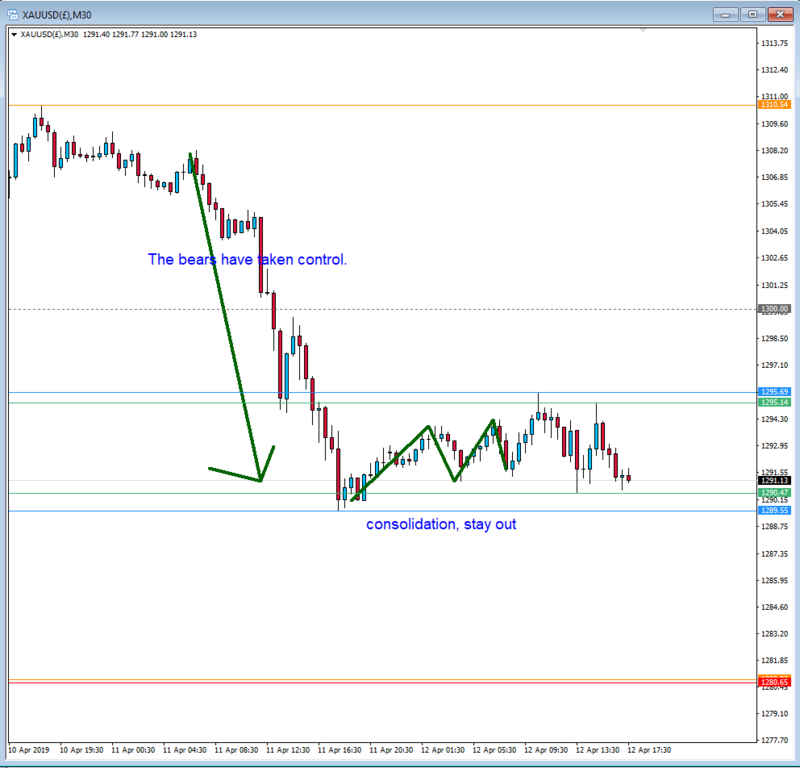 Once in profit then a trailing stop can be set ensuring you always exit with a profit. It is when the trade moves against you due to inefficient entry points that makes stop losses crucial. A trader can only get away with making lots of small losses if they make a few big profits which covers the losses as well. Otherwise all a trader has to show for is lots of small losses. This leads to a slow death! This is where a trading plan, trading strategy and trading system is crucial. There are still many traders that have neither of these things and these are the traders that seem to struggle when it comes to trading. Totally sound advice, and nothing I don't already know; but always fail to follow. However, I'm here now with a new challenge; to undo my already formed, bad habits. However, I learned watching videos about Buying and Selling Shares, not Spread Betting. I want to buy Low cost stock. Wait for a Break and sell. I want to buy 1000 shares, and see the price rise by 10p then sell. I can't do this with SB. My personal advice to you would be not to do anything until you have a trading plan, trading strategy and trading system. Spread Betting is about speculating on the price movement of an asset. That could be a share, commodity, cryptocurrency, etc. When you buy a share then you are in one form speculating on the share price moving in your favour. I do not quite understand why you could not place a long trade on a share and if the price moves up you sell using Spread Betting. Of course this is your personal choice and if you prefer to actually buy the shares then that is a personal choice for you. First of all it is important to understand why you think buying a low cost stock, waiting for a break and selling is the best strategy for you based on your personality and psychology. How will you identify which stock to buy? How will you identify it is at a low price? How do you know the share price will actually rise 10p? Are you buying and hoping? Have a think about what indicators or signals you could use that may help put the odds and probability in your favour of the price appreciating. It will not guarantee it but it could merely increase your chances? Have a think about what these could be? In fairness I'd be happier being able to buy an option for a company I think is going to do well over a few months to a year, and pay that premium rather than risk getting stopped out by the intervening 'noise'. Conversely the ability to PUT shares that one already owns, for a guaranteed price plus a premium, is more attractive in many ways than shorting via SB. Once again I appeal to those who better than me, why SB is considered just fine for retail clients but options are only for the big guys. Surely it's got something to do with the fact that retail clients get cleaned out easily and since they are trading on 'derivatives of derivatives' they have almost no impact on the real markets. All SBs and CFDs and Options are just a type of CFD. SBs are just a tax efficient (UK only) CFD, why do UK punters use SB instead of CFDs when 80% lose therefore there is no actual tax benefit? 90% of options expire worthless though a large percentage are only taken out as a hedge anyway and are expected to expire worthless. Is there actually any real difference between any of them? The real difference is the size of the account. Small account holders can happily chose to use either cfd, sb or options. Large account holders will use cdf on dma with options to hedge, unless they are US based where plain cfd's are banned and they can only use options for speculation and hedge. Here's a great example of where a trader would prefer an option vs. SB. It's clearly a company on the rise, rated a strong buy by almost everyone, but the 'flash crash' on 13 March would have triggered more than a few stop losses I'm sure. Seeing as options have been mentioned a few times, I thought it would be worth pointing out that you can trade Stock Options with IG, but you do need to call them though. It's not ideal, but you can see the open position on your computer. You have to call to close as well. Other options like FX etc can be done on the platform. Would hope to see stock options on the platform at some point. Would be interesting. @TrendFollower regarding your question and why you don't see why I can't take along position on a small priced stock. If it was a guaranteed move (which we all know there are no guarantee's) then sure, i could go long and take a profit at the end, but they don't always move. This is why I would only commit if a suspected price change was imminent; News catalyst. Also the main thing to consider is the cost of the spread is proportional to my stake. Some I have tested to be £50 under before i can even consider profit. It's simpler to buy the stock. My reason for what I'm doing is actually an income. This isn't to be a part time gig. I discovered Ross Cameron from Warrior Trading. Turn $583 into 100k in 90 days. I was watching a few smaller cap stock while using the demo a few weeks back and had some great success, with Motif Bio, Cadence Minerals, Sirius Min and a Shanta Gold and a few others. The thing with spread betting on low price stock is that if it's not moving or has such low value the Spread can be as much as the cost of the stock. For instance, If I bet 1k on a £2 stock with spread betting, the Spread may be as much as £1, plus If i bet £100 per point then I'm already £100 under. If the stock moves only 50p then I'll still be in the red. Not only this, I'll be very much under to start because of the Spread applied. However, If I simply Buy the stock, I pay £5! I've got to take my whole understanding of what I'm doing back to the table. In the meantime, this is what i want to achieve, regardless of how I achieve it. Trade for 2 hours a day and create a 50k per year income. Yes, fair points you make. I try to trade only strong trending assets using Spread Betting for the very reasons you highlight as issues. Anything else and the risks you articulate come into play. I do not have any time or income targets. If you have a trading plan which is to generate £50k income by trading for two hours a day then you need to have a trading strategy that you can execute which will give you the chance and opportunity to do this. Your trading system needs to be adequate enough to generate this income using the time trading specified. You would need to select the right assets to trade at the right time to have any chance of meeting this target. I know this can be done, I'm just not sure whether Spread Betting is actually a Good thing or a Bad thing compared to Buying and Selling the stock directly. I need to figure out what would make (or lose) more money compared to physically buying the stock the CFD/Spreadbetting. But I undertand my main concern has to be how not to Lose money and worry about making it later. I just want to get back to £1400. I'll be going back to the Demo for now. I'm confused that none of the big providers in the UK even mention options. It almost seems that they don't want retail investors to know about options. I find it strange. Have to laugh when there is the ability to spread bet/CFD on options which totally defeats the point of options in the first place! 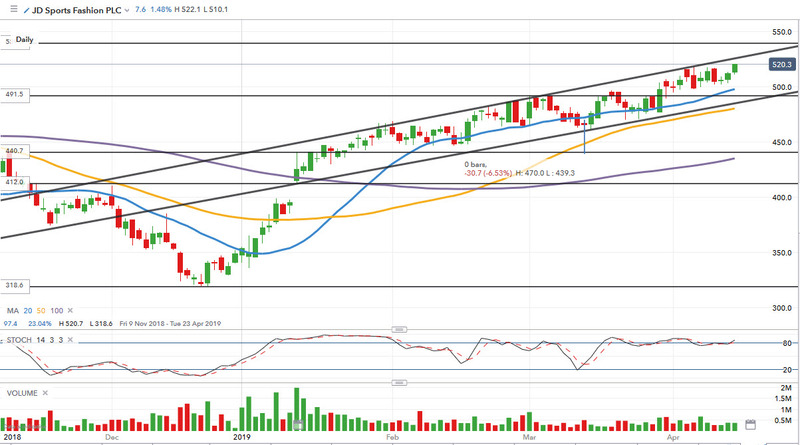 However, i do know that I was watching EOH Holdings last week and yesterday and waiting for a break out which happened today. Went up 50%. Of course, it's way out of my comfort zone but could have grabbed around 2k today if i was Stupid enough to get involved in it. I couldn't take the risk of it going south on me. Apologies; it's not the right place for this. A call option gives you the ability to buy a stock at a certain price x months down the line. You pay an up front premium and that's it. You don't lose money for each point that goes against you. In some ways it's even better than buying stock. If I was looking at a company that I expected to do well (like JD Sports) I'd buy options if I could. With a put, you can sell a share you own at a guaranteed price x months down the line. Naked puts are puts where you commit to selling shares you don't own and aren't a good idea. Spread betting/CFD are favoured by all the financial companies because they can clean you out by hitting your stops. Your risk isn't limited to a premium. An option is closer to informed speculation than SB which is closer to gambling on a fruit machine or betting on a horse but worse, because your losses are magnified. CFDs are limited to 'professionals' and yet they are barely distinguishable from SB. There are clearly many benefits to SB which are becoming very clear, and I may have misjudged the entire thing too quickly. I mentioned earlier that i learned what i wanted to do from Warrior Trading. Buying and Selling small cap stock of £10 and under. In and out. I've discovered today that there are still opportunities to make money with SB, (EOH Holdings went up 50% with the potential to have made £1500 today) but the limit is actually on the platform itself. For instance, the ability to simply arrange the Instruments by Volume, Volatility, Market Cap, Price etc. It's very Basic and absolutely tedious to search thru the entire listing to find anything decent. This of course is where Prorealtime comes in. and it's built in scanner. The basic platform is obviously limited on purpose so that you must invest further and pay for PRT. I'm happy to hear any other suggestions on it? For me those who lose money and have losing trades using Spread Betting find it easy to blame 'Spread Betting' rather than their trading strategy and trading system. SB is definitely aimed at the retail punter though. Options have their place, but only big boys are allowed to play with that train set. @nit2wynit, I pulled this video on using IG options (on the old platform) some time back for another thread, it may be of some interest to you. 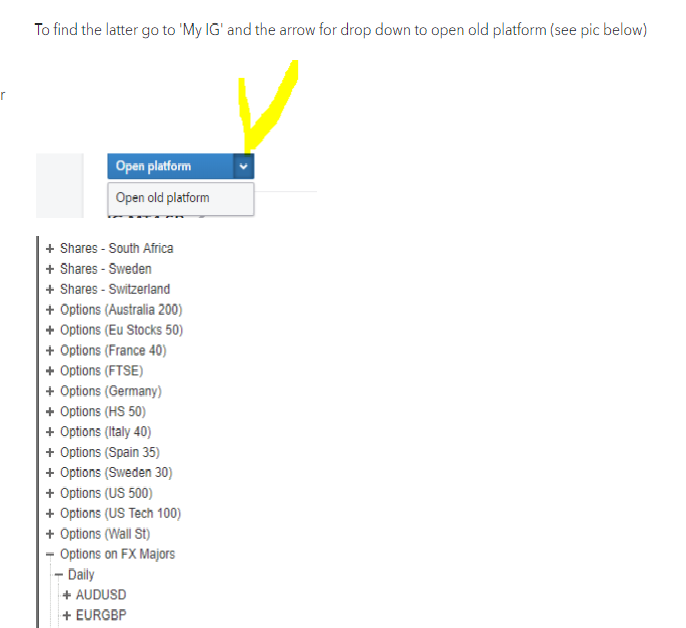 @dmedin, the classic options are still on the old platform, go to your 'My IG' dashboard page and see the dropdown box on 'open platform' button, see pic below.